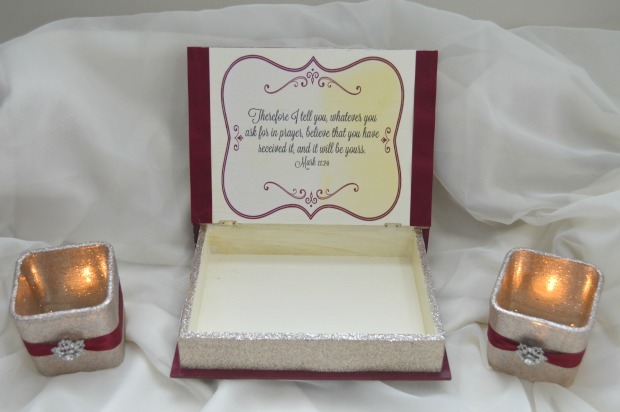 You are here: Home / DIY / DIY Prayer Box! 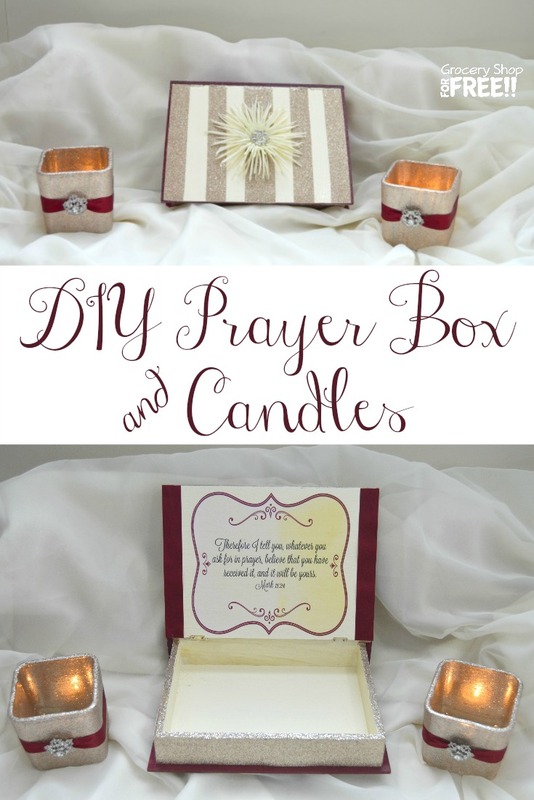 My daughter made this beautiful DIY Prayer Box and candle set for her Mother In Law who is going through a hard time right now. I thought it was such a great idea and it turned out so well, I thought I would share it! 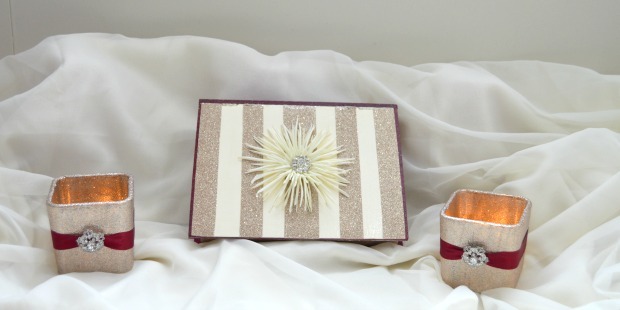 This would make a perfect gift for any occasion! I could see giving this as a wedding gift, confirmation, graduation, birthday, Christmas, anything! You could add anything to it, too, she added handwritten Bible verses and a journal and pen! Chose design for inside lid, added verse and printed out on printer paper and cut to fit inside lid. Glued on to inside lid with Modge podge. 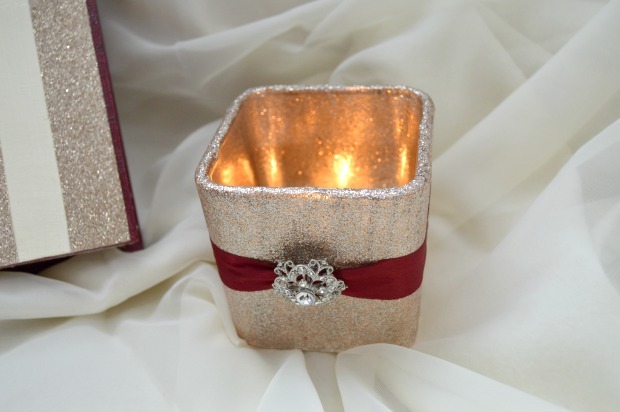 Mix loose glitter with Modge Podge – add modge podge to make it like paint and then paint the “glitter paint” on the outside, top and bottom of candle. Run ribbon thru the back of the button to attach botton to ribbon. Then hot glue ribbon around the center of the candle holder. Print verses or words of encouragement on printer paper with same design as lid. Add in a journal and pen. Another fun DIY project you can give as a gift are these DIY Shower Jellies.